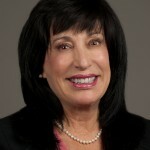 Filomena D. Warihay, CEO - Take Charge Inc. I am a former executive, an award winning author, a leadership trainer, consultant, and an expert in helping managers recognize and tap into their unique strengths – not only to reach their goals, but to achieve their potential. Over the past 25 years I have coached more than 200 managers from front line to C-level in both the private and the public sector. My guiding philosophy as your coach is to act as a guide to help you access your unique greatness and bring it forth in ways that contribute to personal and organizational effectiveness.